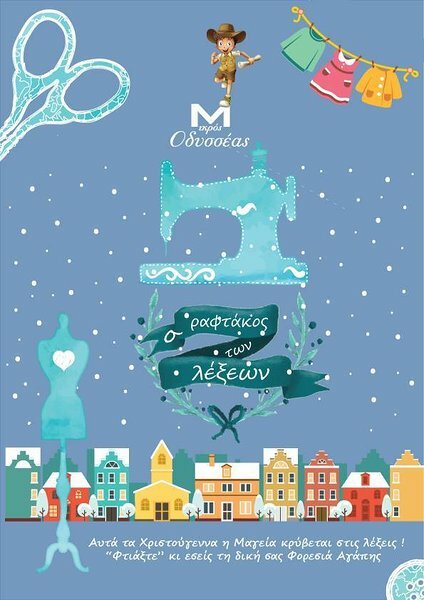 "Once upon a time, in a small town that still looked like a village, lived a tailor; a tailor who was unique for two reasons. 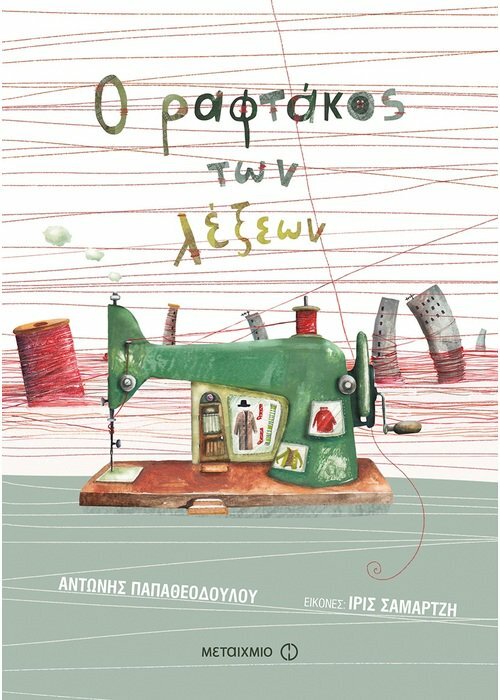 Firstly, because he was the only tailor in the town and made all the clothes for adults and children alike. 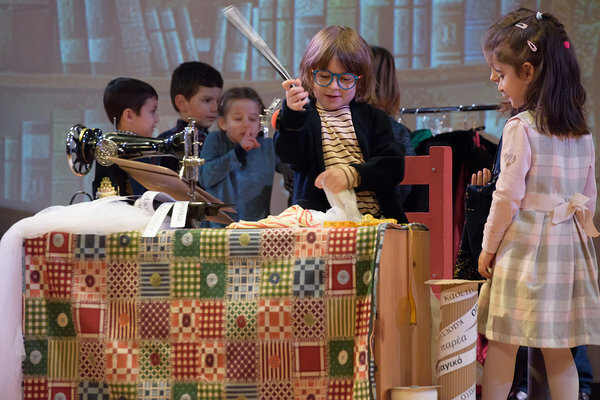 The window of his small shop was full: blouses, cardigans, trousers, jumpers and turtle-necks, socks and hats, capes and coats, in all shapes and sizes. 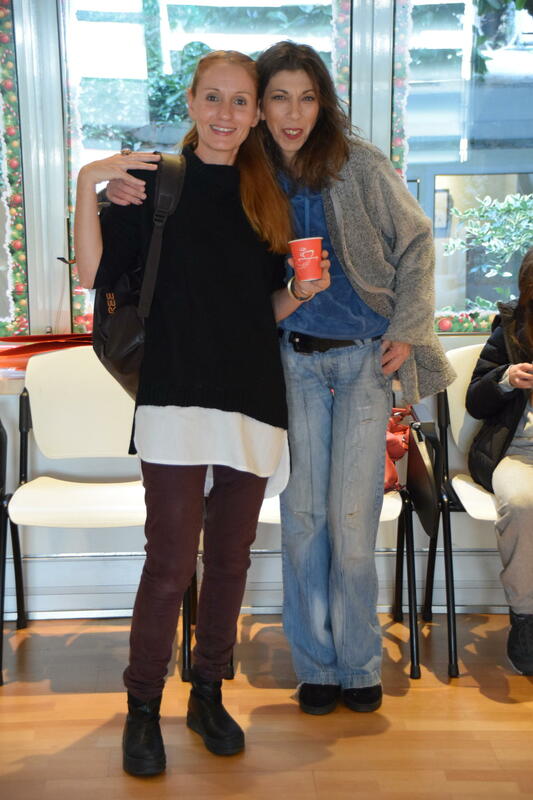 And his shop was always full of smiling customers who came and came again to choose, try on and shop. 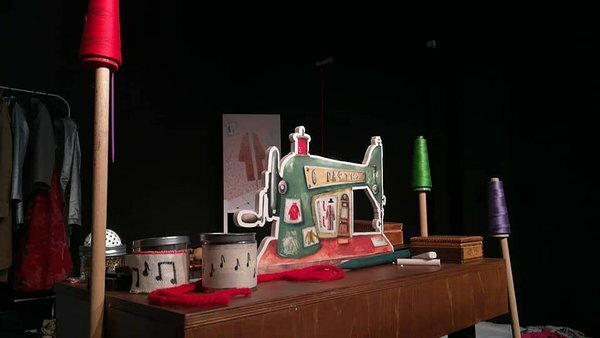 And if he was making scarves and hats he’d knit using warm words such as: sunshine, summer, flame or fire. 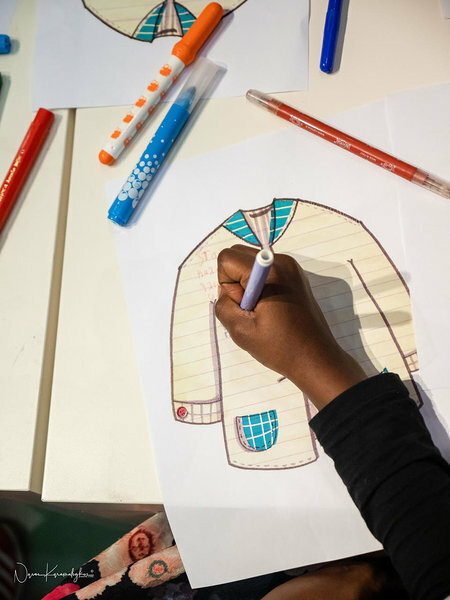 For thick jumpers he chose even warmer ones: oven, brazier, cinder, burn, scorch. 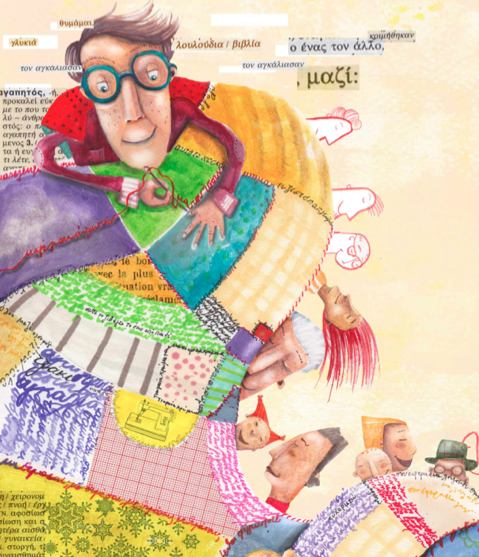 And for very thick jumpers, those for very cold weather he sowed with even hotter words such as: fireplace and woodstove or love and hug..."
The Little Weaver of Words was launched in 2012. 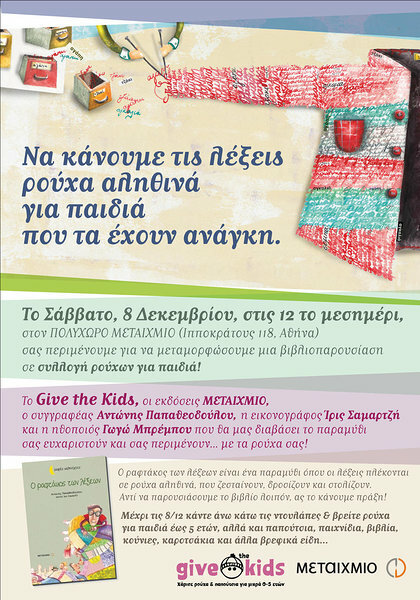 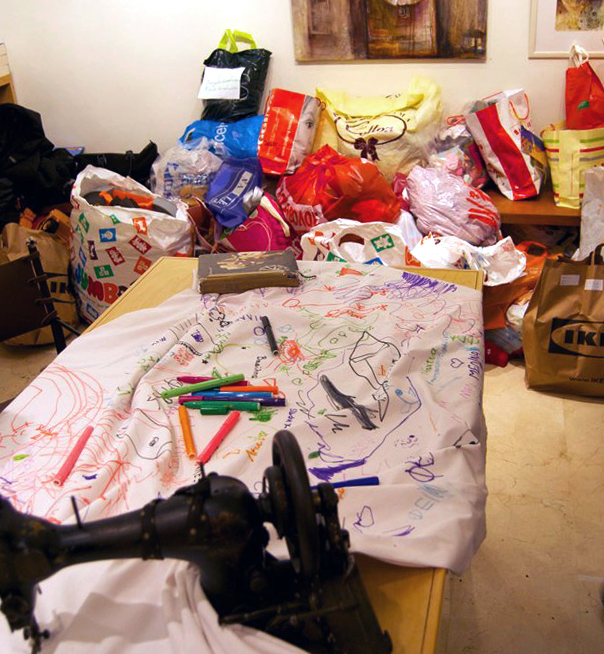 With the cooperation of the GiveTheKids initiative, Metaixmio Publishing and the actor Gogo Brebou, we decided to turn the book's launching event in 8/12/2012, into a big gathering of clothes for children in need. 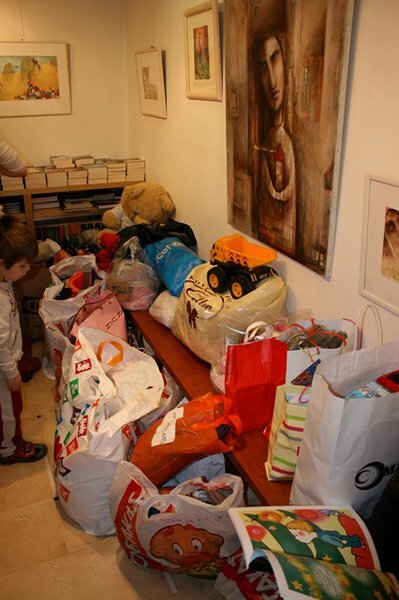 After reading, story weaving and a little origami storytelling, we filled the ground floor of the Metaixmio building with bags of clothes and we a huge T-shirt with our thoughts on giving to others. 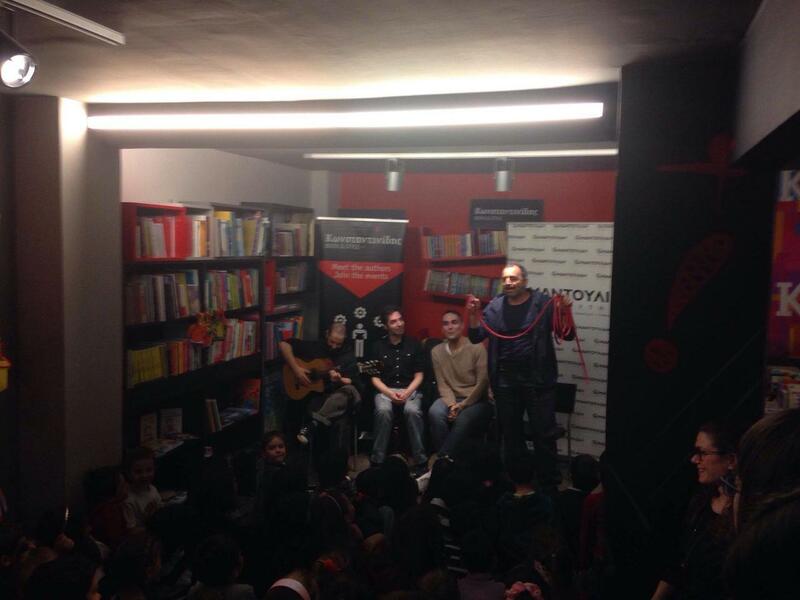 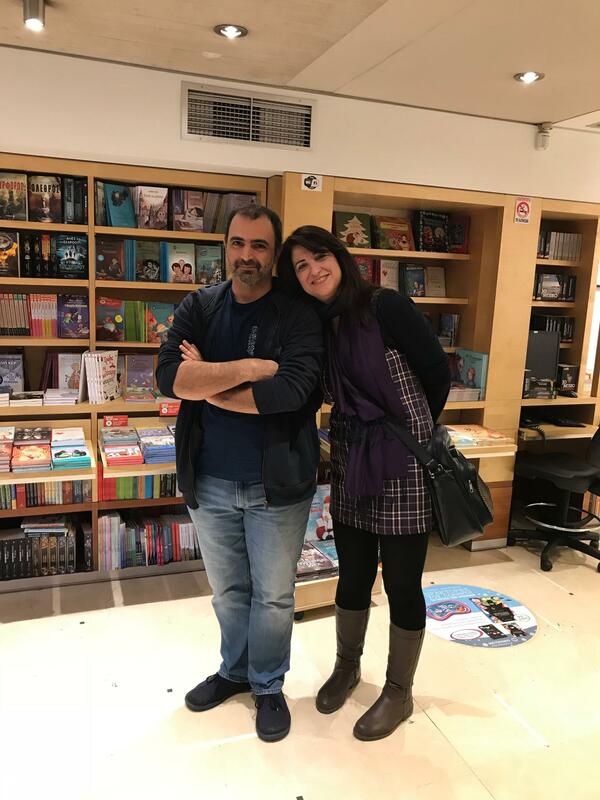 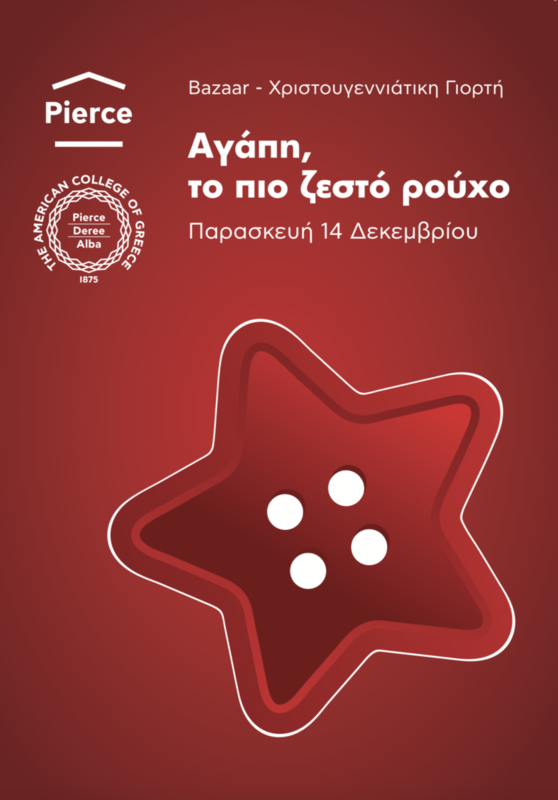 Another two giving events followed the collector's hardcover publication in 2017 & 2018 in Athens and Thessaloniki with the collaboration of actors from Alfa Idea & Mikros Vorras Theatres. 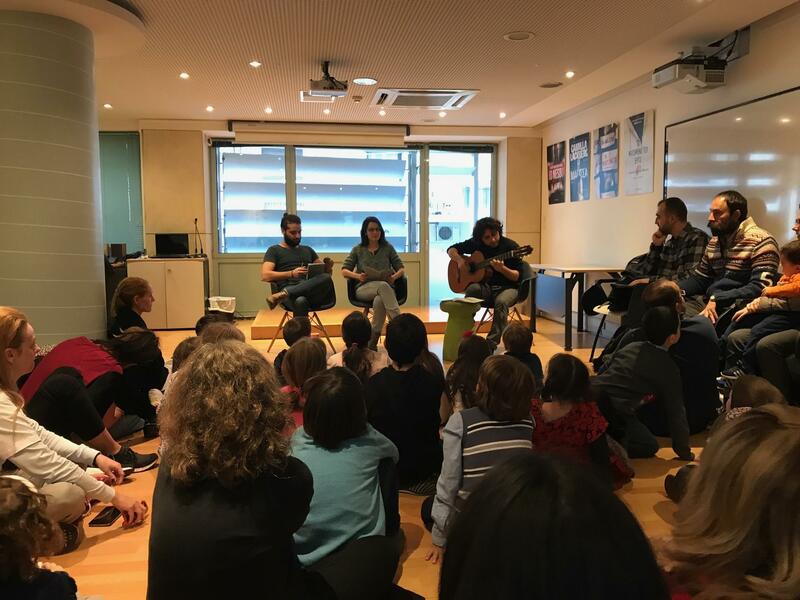 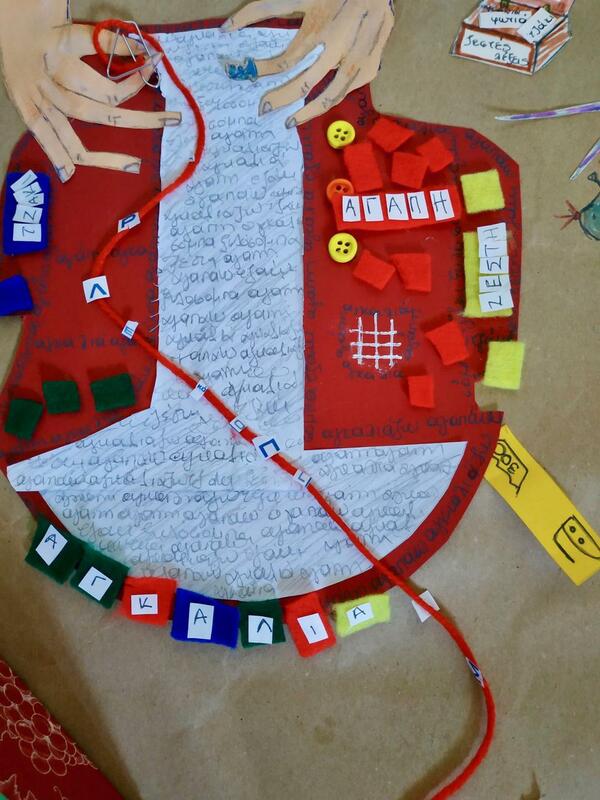 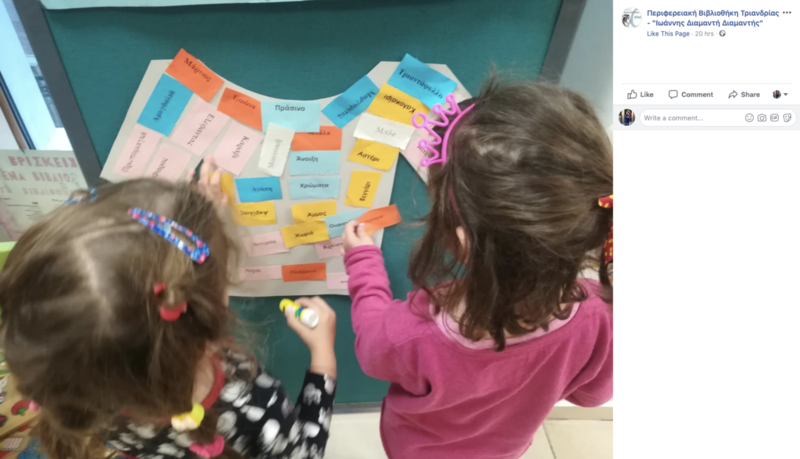 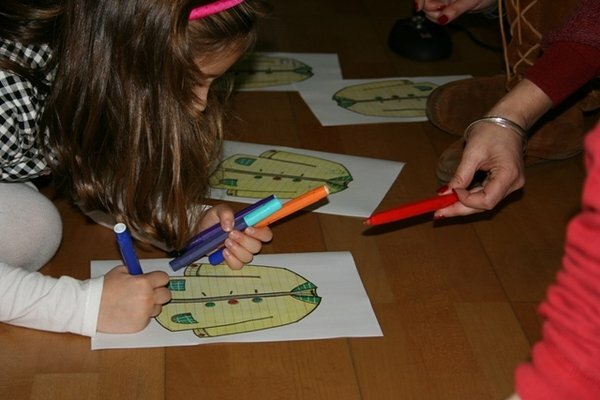 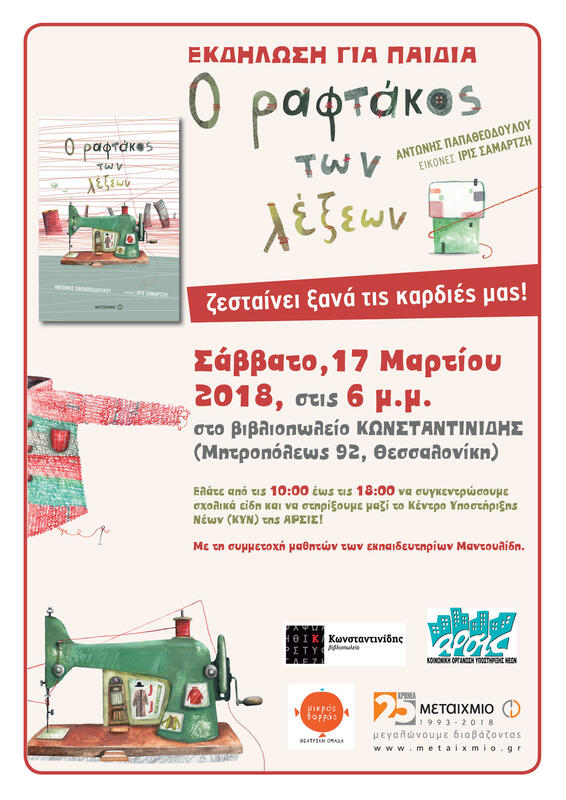 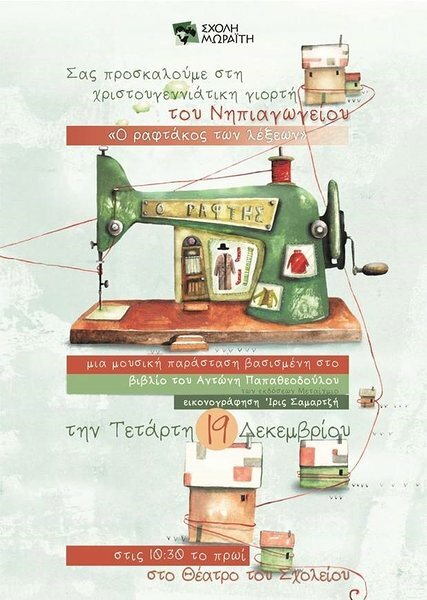 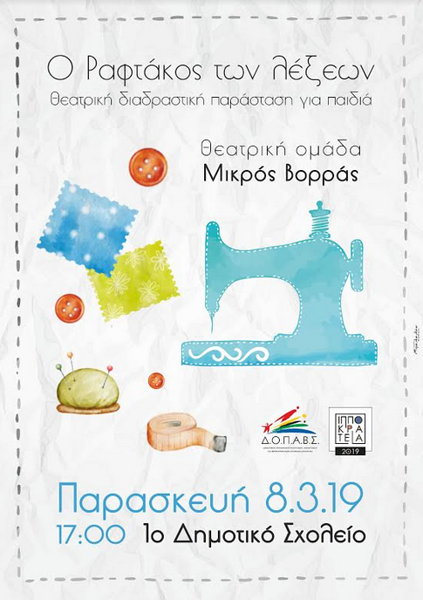 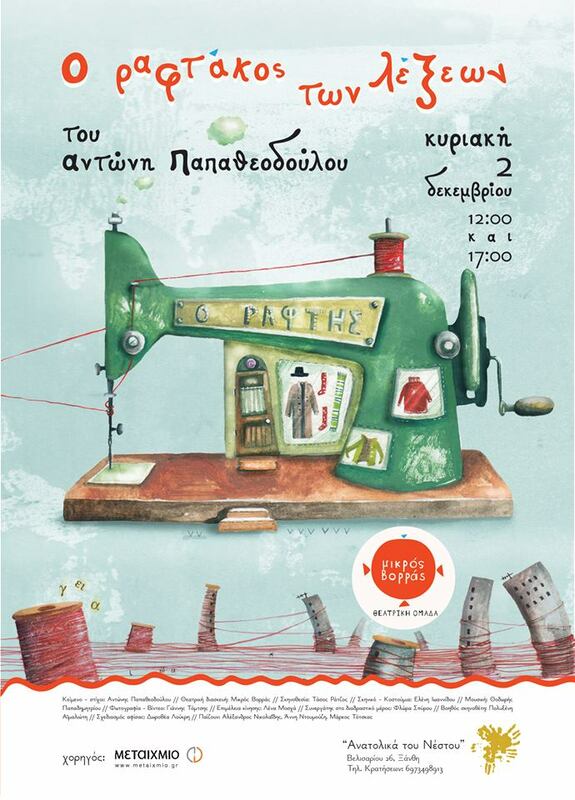 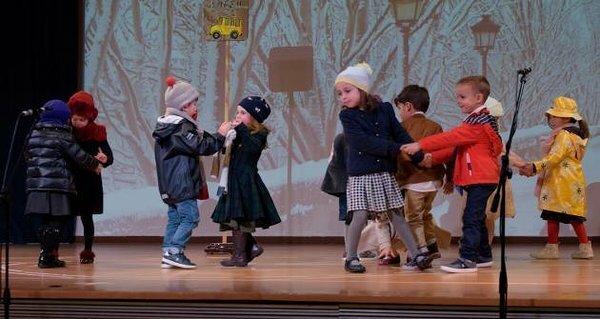 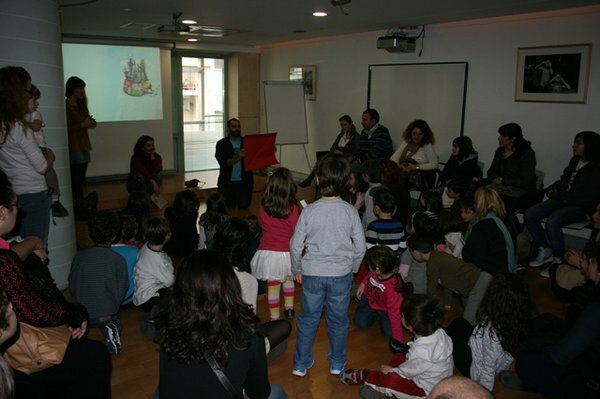 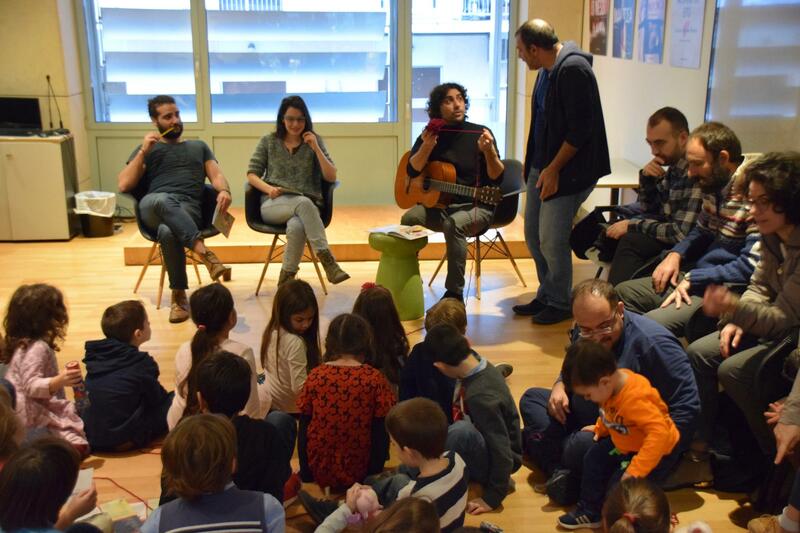 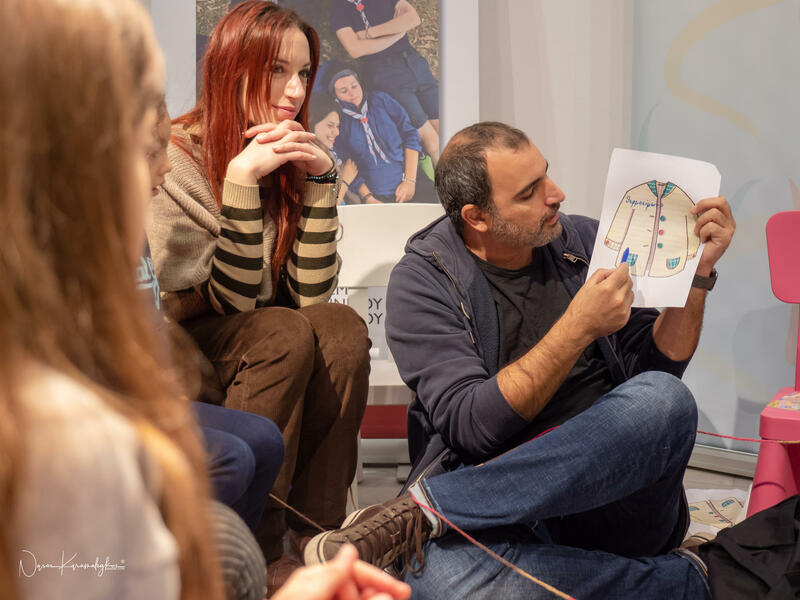 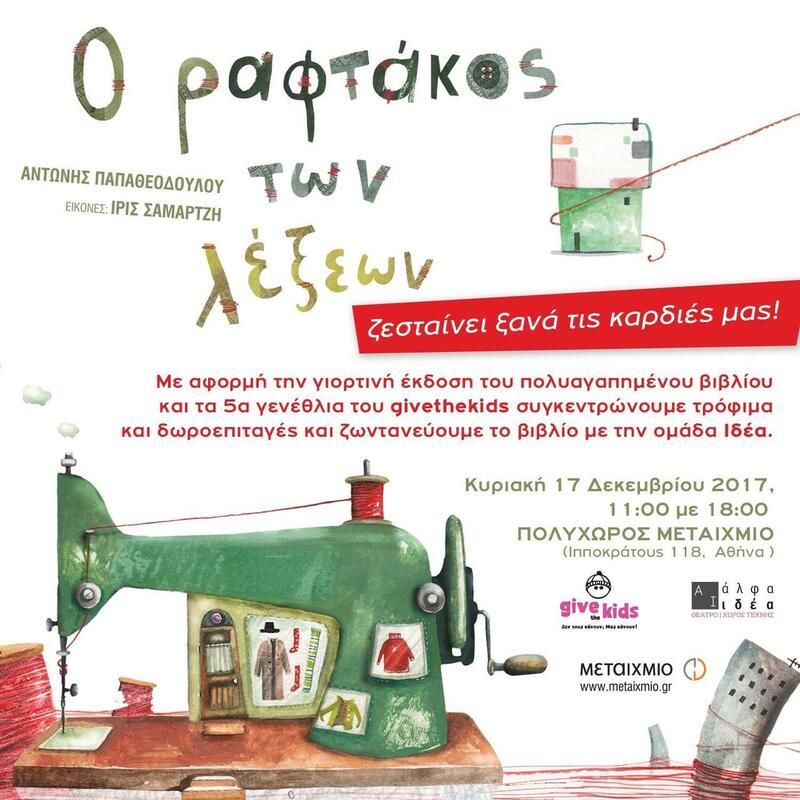 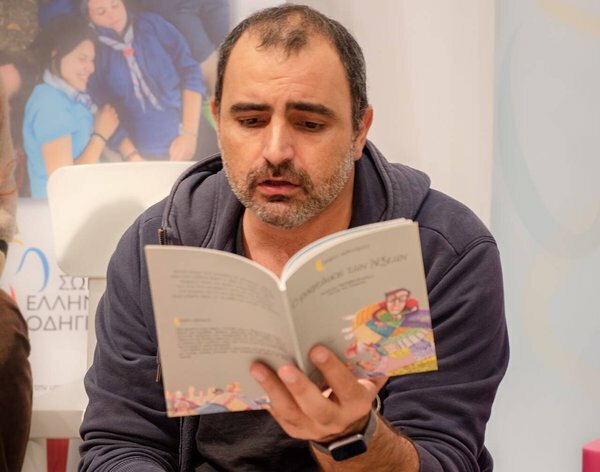 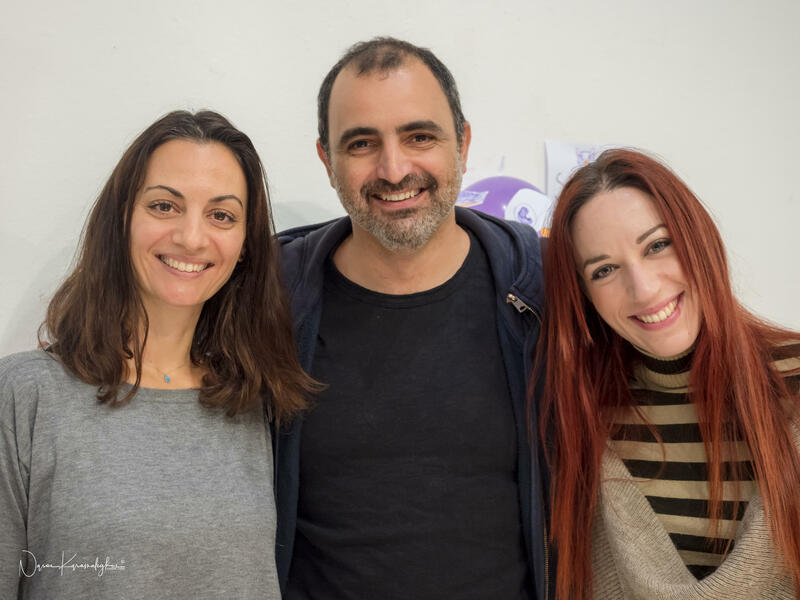 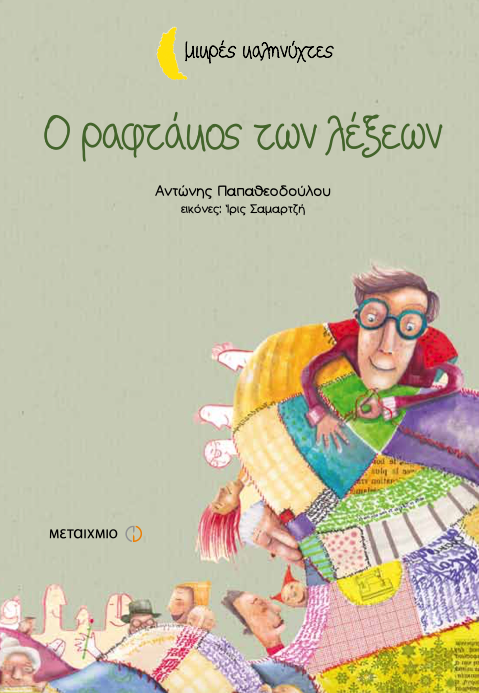 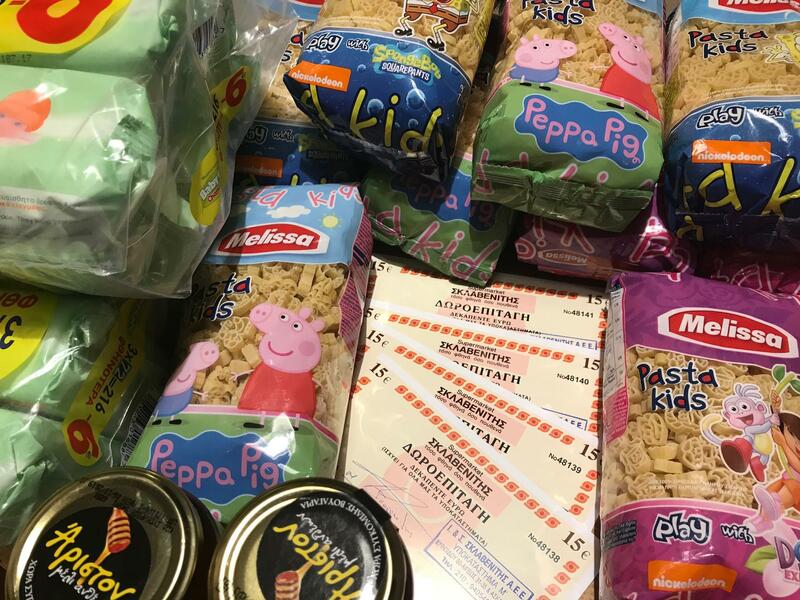 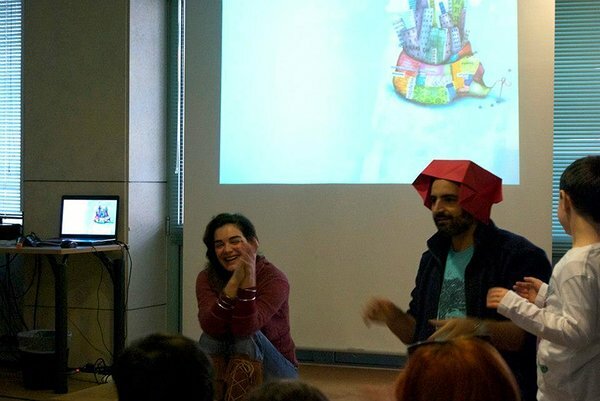 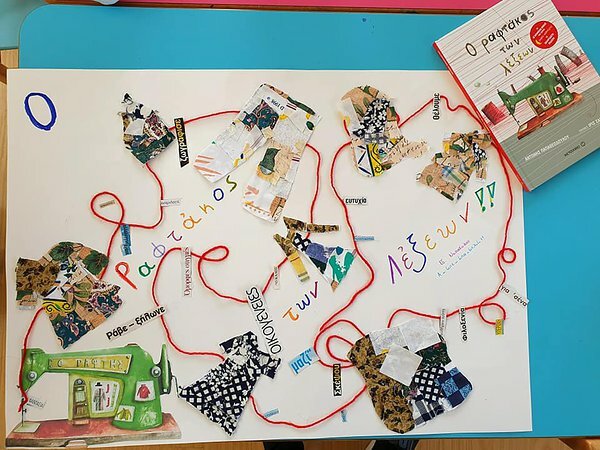 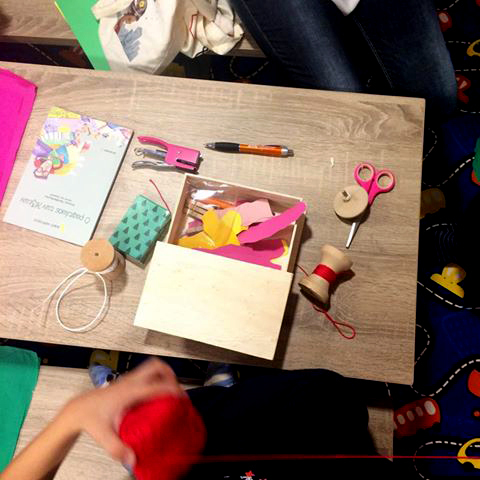 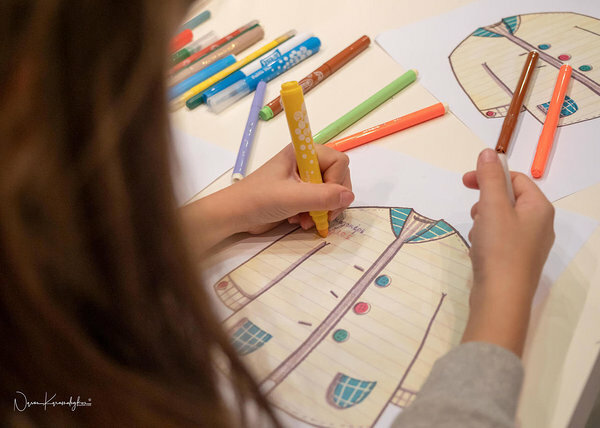 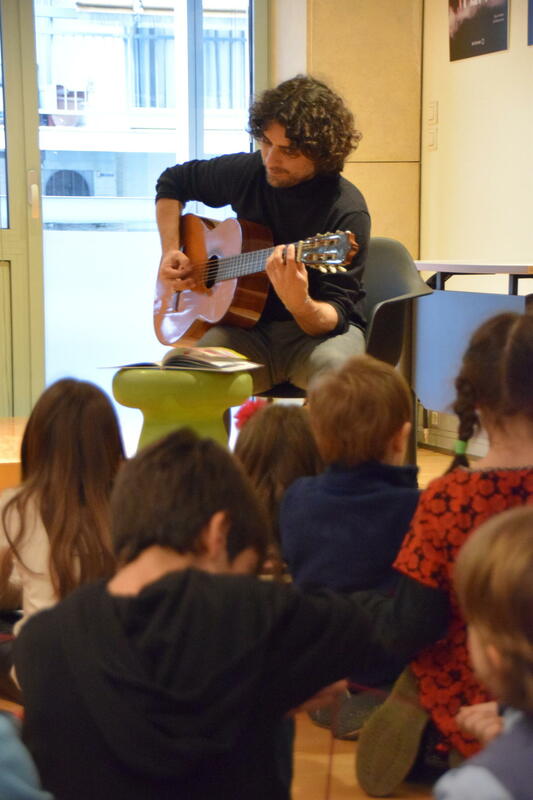 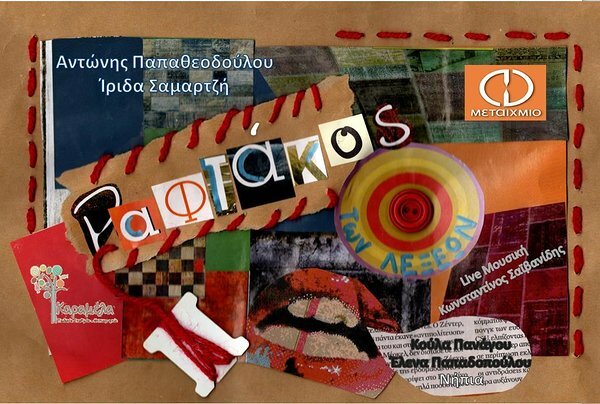 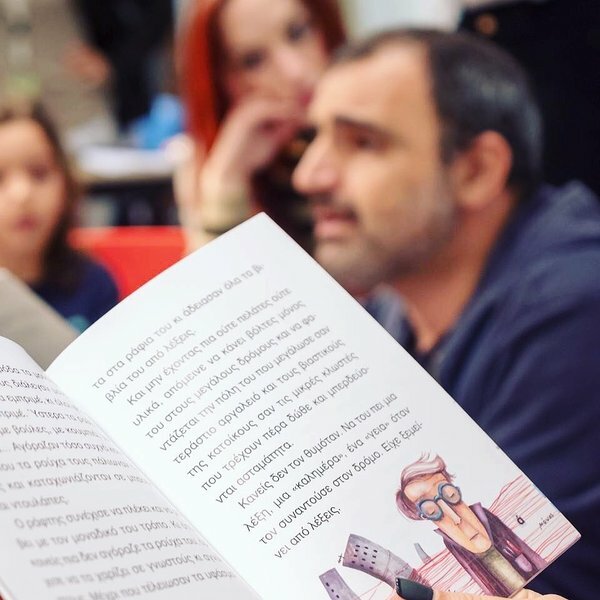 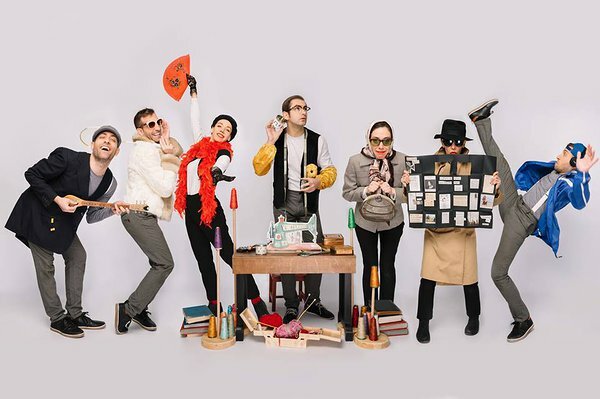 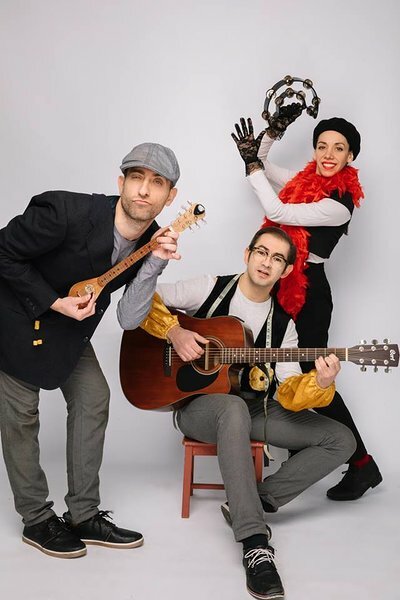 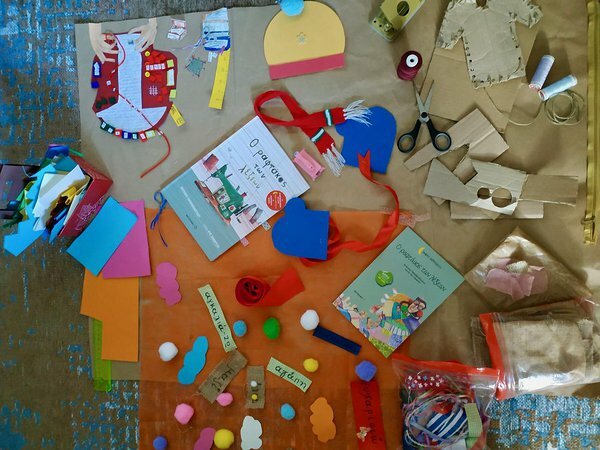 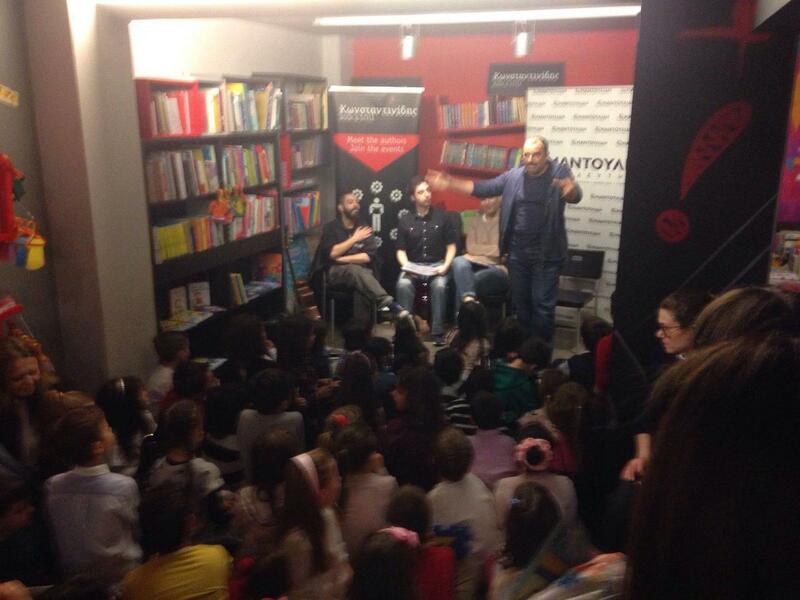 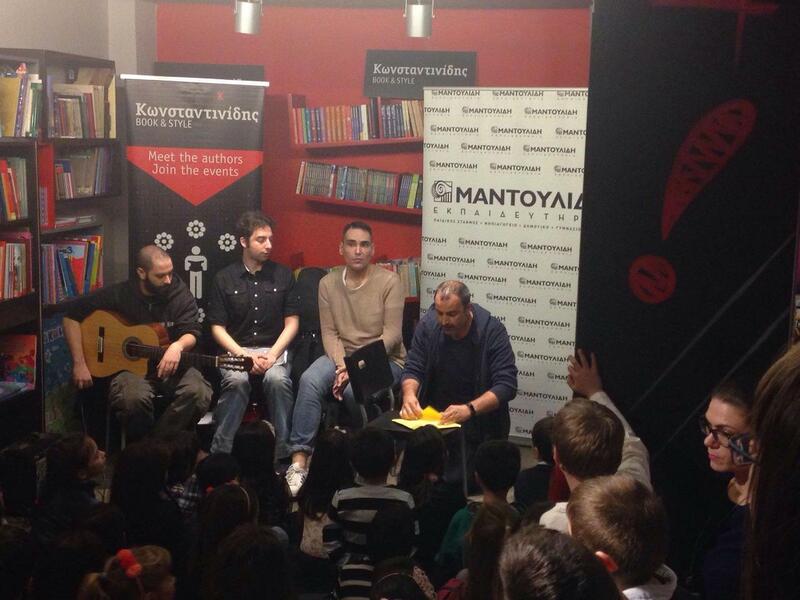 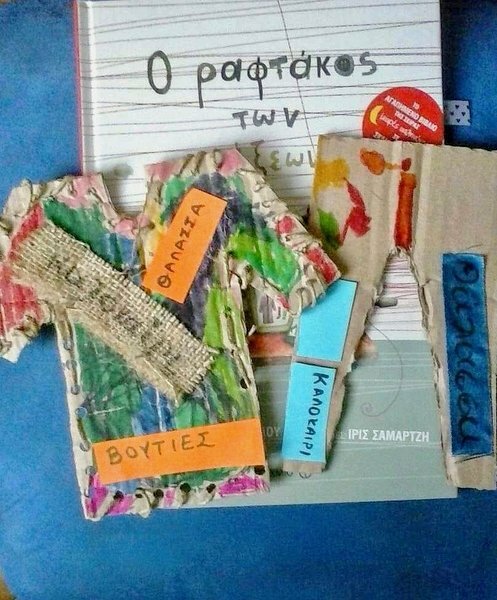 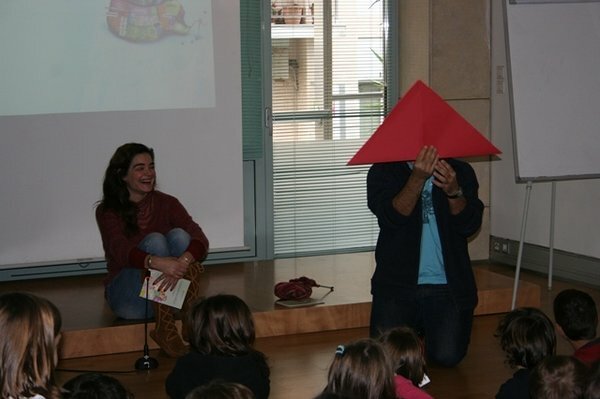 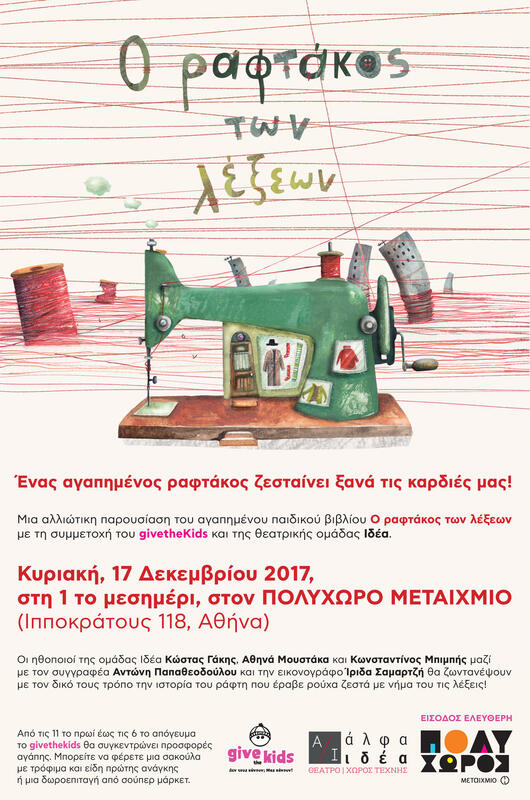 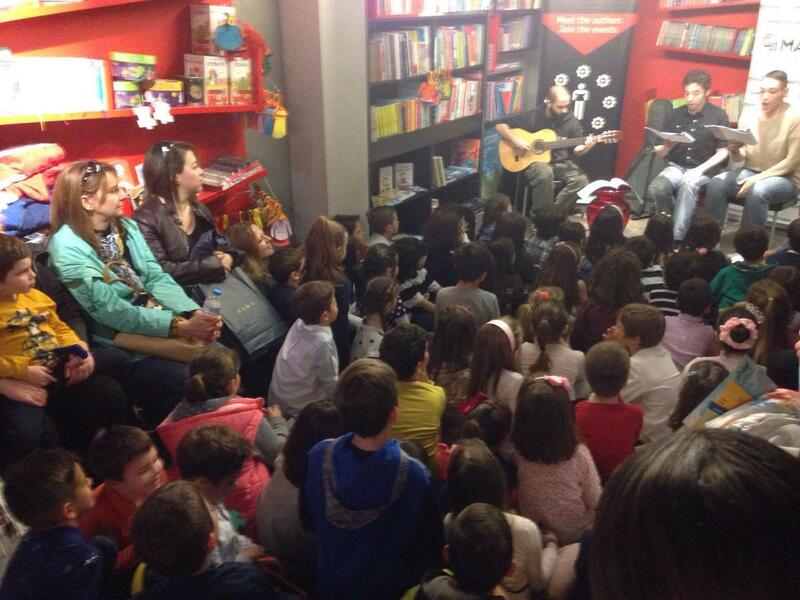 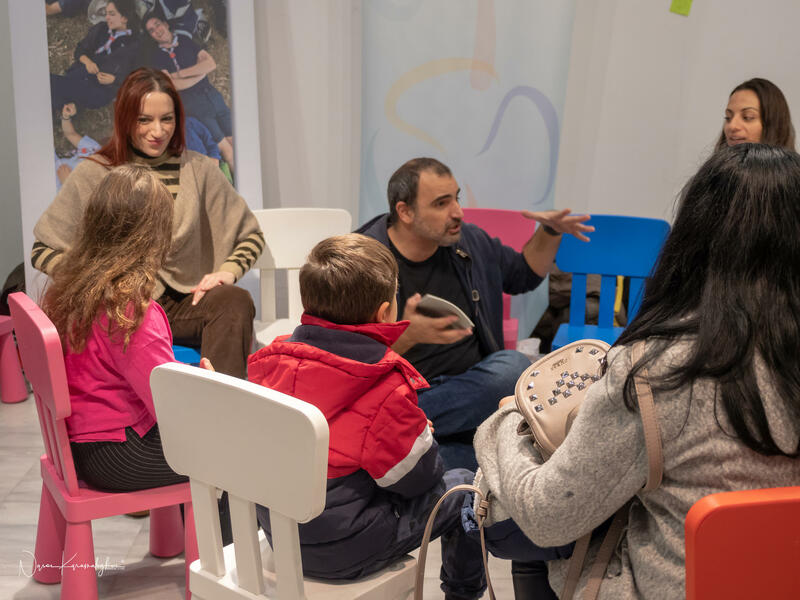 The little weaver of words has been turned into activities and school theatre plays by various Elementary Schools & Kindergartens in Greece and Cyprus and Mikros Vorras Theatre Company launched the Children's Theatre Play "The Little Weaver of Words" in 2018. 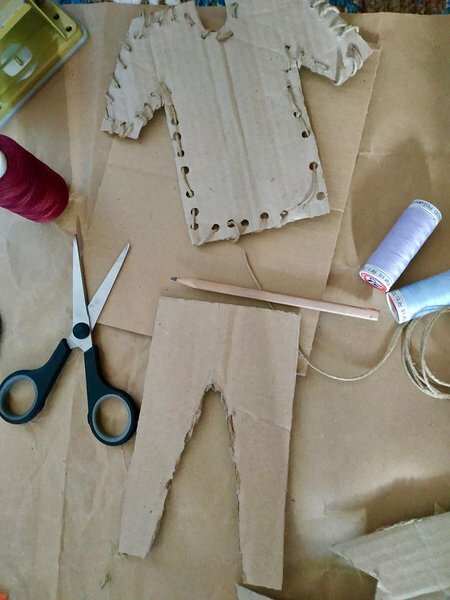 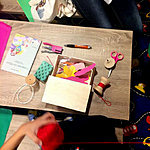 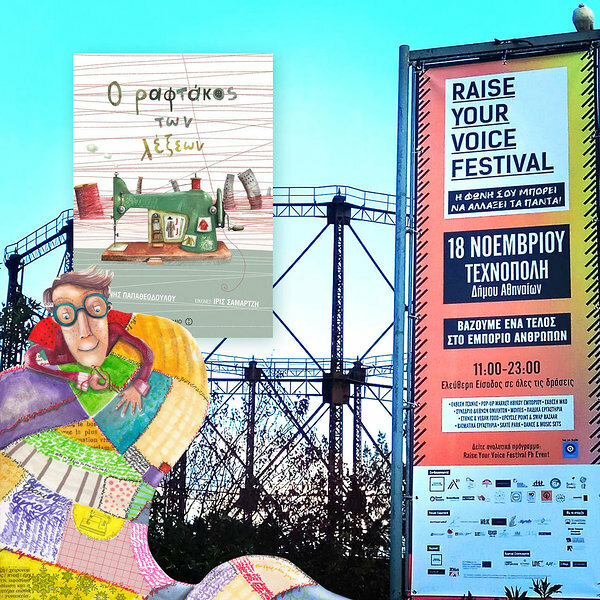 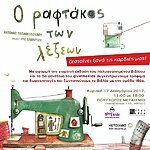 In November 18, 2018 the Little Weaver of Words was invited by the NGO Fashion Revolution to participate to Raise Your Voice Festival 2018, against human trafficking and slavery, under the Fashion Revolution motto #whomademyclothes #imadeyourclothes with the collaboration of volunteer readers from https://www.facebook.com/giatousallous/ (I read for others).